Carmel started Mckay Property Solutions to help her clients out with all their finance and property needs. With a focus on financial brokerage, self managed super funds and property research, she’s the one stop shop for investing in property. With a new found focus on growing the business Carmel approached us to refresh her brand and website to ensure that her collateral was as up to date as she is with the property market. It’s always great working with the client to create the brand from the ground up and then seeing that evolve and develop across all thier collateral. 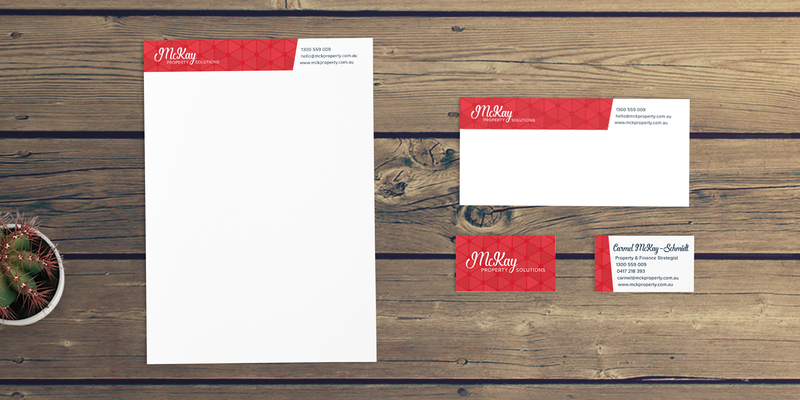 We worked with McKay property solutions to develop a brand that summed up all that they offered, as well reflect the personal touch that Carmel adds to all her client’s experiences. Carmel was keen to keep the red and blue palette that she’d previously used, so it wasn’t such a big jump from her old branding to the new. We refreshed the palette to keep it fresh and developed a logo combining a more personal script font with a corporate sans-serif font. The logo worked as a stand alone piece as well as in conjunction with the primary icon that represented all Carmel’s experience and service coming together into the one solution. This was then also translated into a pattern that could be used across the collateral. 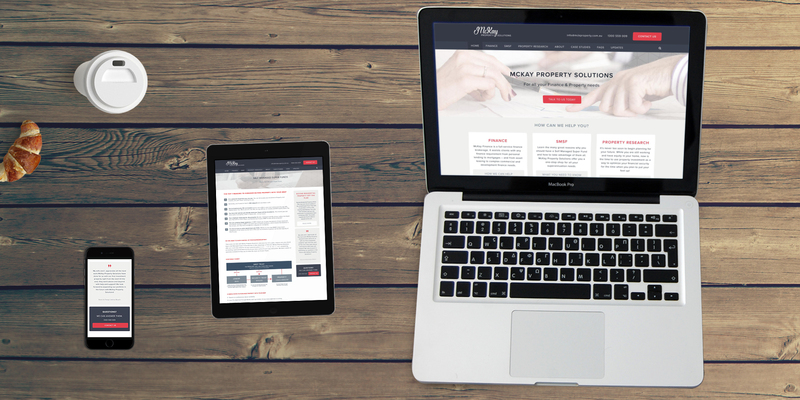 We redesigned and developed the new Mckay Property Solutions website so that it not only looked great, but was also very easy for the Mckay team to update. The website needed to provide information to new and existing clients about how the McKay team could help, and give them all the contact details to get in touch. 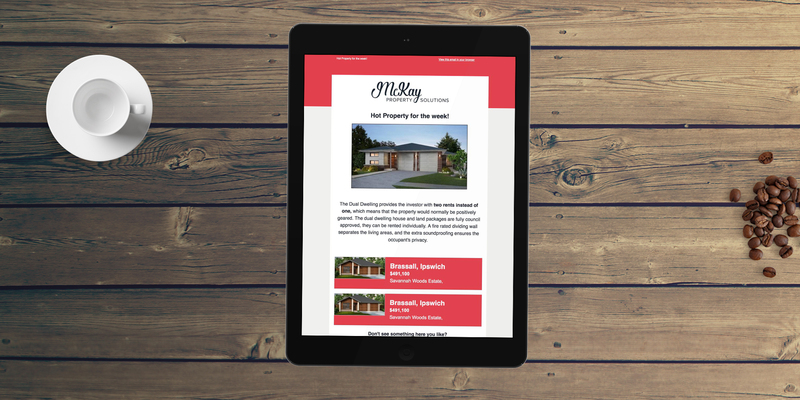 We also updated the email newsletter template that Mckay Property Solutions uses to send out thier regular email updates. It was important that the colours and branding were the same as other areas.